Membership levels can be created for an integrated WordPress site in ONTRAPORT. These membership levels are discreet member levels and not dependent on other levels in a heirarchy (a contact can have a "Gold" membership without also having access to "Silver" membership content). 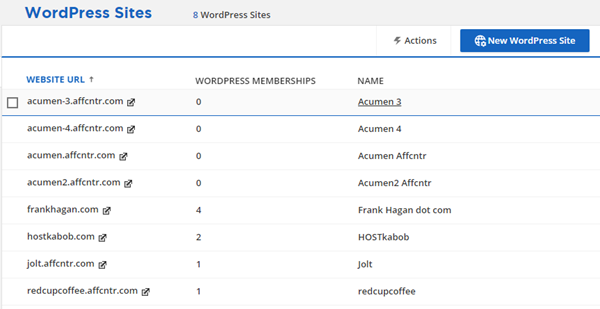 In WordPress, the membership levels appear in the editor when editing posts, pages or custom post types. Selecting one or more of these membership levels results in the page only being visible to contacts with the checked membership levels. ONTRAPORT automation can be used to dynamically grant or remove membership levels from any of your contacts. You can automate having a failed payment lock out the member, or process orders for a new membership level and give the contact immediate access. Navigate to Administration > Advanced Features > Wordpress and toggle the feature on if it has not been enabled already. Select the WordPress site by clicking the site name (not the website url). If the "Name" column doesn't appear, click the + button to add the Name column. Checking multiple boxes will grant access to any member with any one of those membership levels (they do not have to have all the access levels checked). To have the page or post displayed in the navigation menu for non-members, select the Show in Navigation check box. This does not override your menu structure set by your theme or in Appearance > Menus. It only allows the page to be listed in navigation if it normally would be displayed. 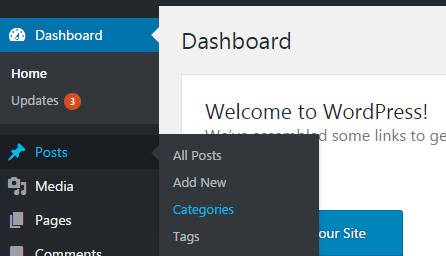 Posts in WordPress can also have one or more Categories assigned to them. 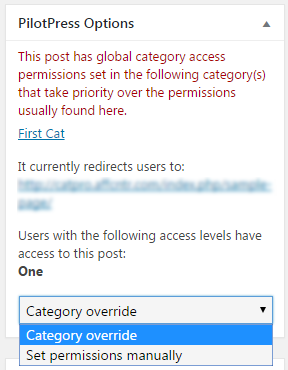 You can protect all posts in a Category automatically using PilotPress. This allows you to remotely create blog posts using other software or email and have the post protected without logging into the WordPress Administration section. 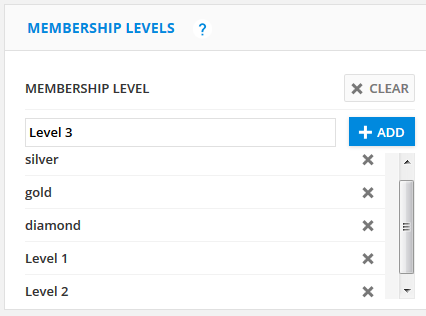 Set membership levels using Posts > Categories and edit the category desired. 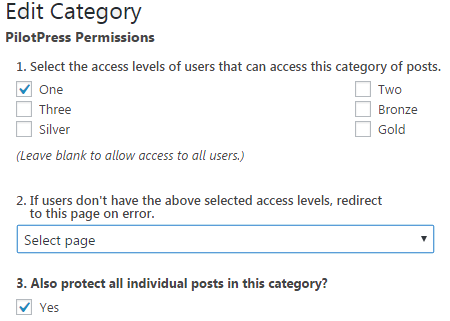 Under PilotPress Permissions set the access level for all posts in the Category. Then select the "on error" page non-members will be redirected to if they navigate to a post in this category. Finally, confirm that you want to turn on protection for all posts in the category by checking the Also protect all individual posts in this category? check box. Un-checking the Also protect all posts in this category? check box removes the protections for all posts, even ones previously protected by this setting. To override the Category protections for an individual post within a protected Category open it for editing and select Set permissions manually in the Category override drop down box. Category permissions are additive. 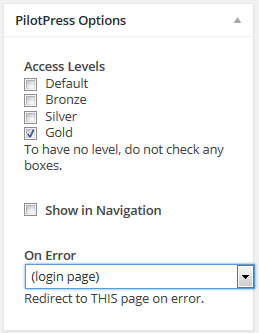 If a post belongs to a Category with permissions for the Gold Membership level and in addition is also assigned a Category with permissions for the Silver Membership level then anyone with either Gold or Silver Membership will be able to see the post.